Q: I’ve heard Stampin’ Up! is changing colors. Why are they doing that? A: It’s true, we are having an exciting Color Renovation! Just like when you make changes to your wardrobe and home décor to keep your style and surroundings fresh, from time to time Stampin’ Up! has to update their wardrobe of colors, too. The last color change was about 5 years ago, so it’s time for updated colors to keep things exciting and to keep your creativity flowing. Stampin’ Up! is retiring some colors, bringing back some former In Colors, and introducing five new colors. A lot of research, surveys, and planning went on to come up with the new Color Collections that offer great colors, are easier to use, and offer more variety. Read on to see more about these exciting changes! The much-loved Color Families are being renovated into Color Collections. Where there were 48 colors in 4 families plus some additional neutral colors, we now have 4 Color Collections, each with 10 colors. The new Color Collections are: Brights, Regals, Subtles, and Neutrals. Old colors that were not popular and weren’t selling well are being replaced with new, more usable colors. Imagine if you went into your favorite clothing or décor store and only saw the same colors year after year. How exciting would that be? Would you feel creative and refreshed? I think not! The new Color Collections are easier to use and understand for both new and seasoned stampers. By including all the colors in a collection and reducing the overall number of colors, they are easier to use and help to spark your creativity. Research and artist experts were consulted when deciding on the colors to select. These experts helped Stampin’ Up! choose colors that were easy to coordinate, fashionable, and well rounded. 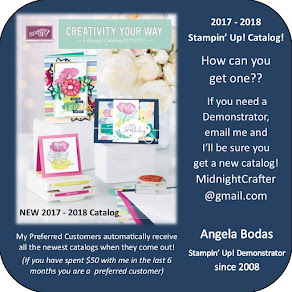 To make it even easier, Stampin’ Up! has designed a Getting Started Collection that combines 12 versatile colors from the four Color Collections. These colors have a variety of coordinating accessories available and come together in a collection of a variety of basic colors. 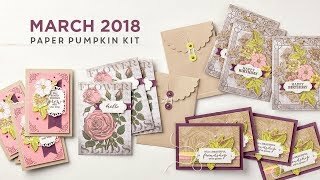 This makes it easier for new stampers to know where to start, and for experienced stampers to know which colors will have the most options for coordinating accessories. Change isn’t always easy, but sometimes it’s necessary. If you had the same choices every time you went to a store or a restaurant, you wouldn’t feel the excitement and creativity of new options. The Color Renovation sets the stage for Stampin’ Up! to stay current and vibrant in the future without having to make such large changes. This is possible in part because of the new In Color program. In July 2010, Stampin’ Up! will introduce 5 new In Colors. These In Colors will be available for 2 years. In July of 2011, Stampin’ Up! will introduce 5 more In Colors, which will also stay for 2 years. After this year, there will be 10 In Colors available to choose from that will keep the color palate on trend and help inspire creativity. We’ll have the benefit of keeping each In Color for 2 years, but having new colors each year because the 2-year cycle alternates. How cool is that? I hope you are as excited for the beautiful new colors as I am! The new creative options are amazing! And as a valued customer of mine, I want to make sure you have extra supplies of all of your favorite colors before they retire. Supplies are limited, so please contact me today. © CraftyPerson Production 2008. Images © Stampin' Up!